Wasla the ultimate Arabic Alternative Music Festival, has been confirmed for April 5, kicking off at 11am and rocking right through until 11pm, at Burj Park, Downtown Dubai. 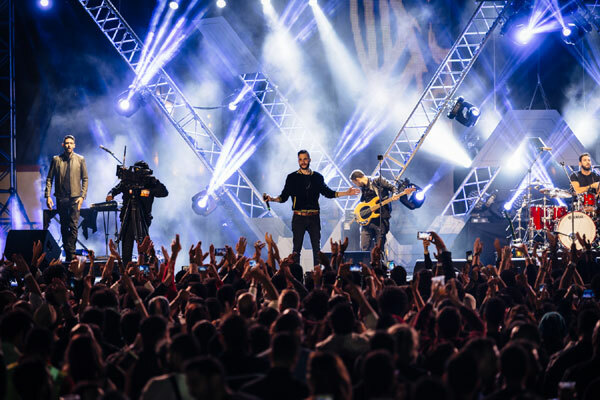 This year’s outstanding line-up includes heroes of the regional music scene, such as Cairokee, Massar Egbari, Mashrou’ Leila, 47 Soul and El Morabba3. Early bird tickets, at Dh195 ($53), are now available at www.ticketmaster.ae. The April 5 festival will mark the third year in a row that Wasla will gather together the very best alternative Arabic talent from the region’s buzzing genre-spanning music scene in Dubai. With Live Nation, in partnership with Brag in association with Emaar, as well as strategic partner Dubai Calendar and hospitality partner Rove Hotels, on board for this year’s event, Wasla 2019 is guaranteed to be bigger and better than ever before. Egypt’s rock giants, whose ever-evolving approach to their craft is a true sonic reflection of the fast-paced, ever-changing nature of their beloved home city of Cairo. The Amman-based trio has been making waves across the region after winning the award for ‘Best Indie Music’ at the Arab Music Awards in Beirut, in 2017, for their Arabic, Indie, and desert-influenced brand of rock. Eager festival-goers can look forward to what the New Yorker calls “the Middle East’s biggest alt rock band”, as Lebanon’s Mashrou’ Leila are set to unleash their brand-new album ‘The Beirut School’, live in the UAE for the very first time. 47SOUL will join straight from their headline slot on the globalFEST stage at SXSW, with their new album ‘Balfron Promise’, which made it onto The Guardian’s ‘Top Ten World Music Albums for 2018’.